A genuine ship's porthole was salvaged and mounted as a coffee table. 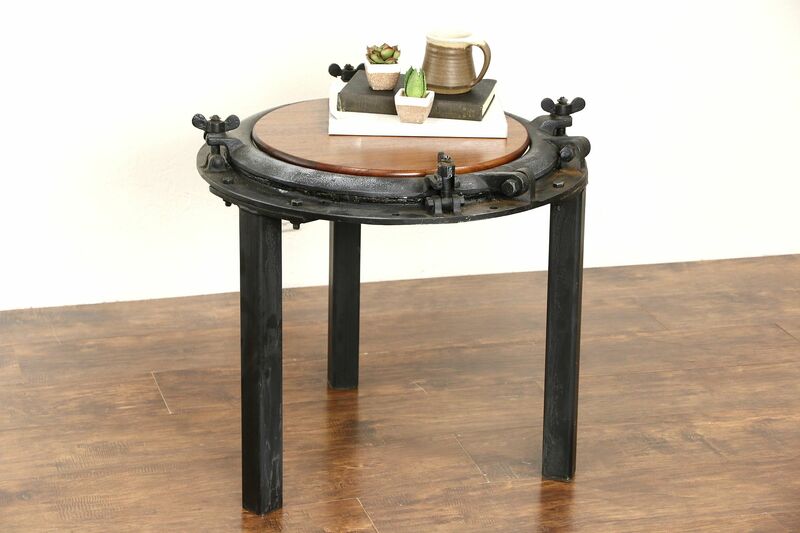 The cast iron frame has a worn painted finish on this nautical antique. Thick glass in the window is cracked but stable. A removable mahogany insert has an excellent finish. Iron legs were installed and size is 25" diameter and 24" tall.